“This helplessness, what’s it like?” asked my spiritual director. It took me a few minutes to let the feeling return to my body. It’s how I felt the night I was driving to a friend’s house in the rain. I was pressed for time, couldn’t find the address, and had forgotten my cell phone. “Panic,” I said as tears came. “Like being held,” she said, savouring the thought. “I wanted to say, ‘Just rest here in this holy place and be loved. '” More tears. I knew that’s what God wanted to tell me, too. I visited Bonnie again a few days later and told her what happened in spiritual direction. “My deepest awareness of myself is that I am deeply loved by Jesus Christ, and I have done nothing to earn it or deserve it,” wrote Brennan Manning in The Ragamuffin Gospel. Richard Francis Xavier Manning (1934 – 2013), best known as Brennan Manning, was a Franciscan priest who left the priesthood to marry and later divorced. Alcoholism and one failure after another opened him to receive God’s salvific love. This self-declared ragamuffin knew, like few others, the depth of God’s love. Through his writing and speaking, along with millions of others, I was transformed. I discovered grace and began to believe that God really does love me. 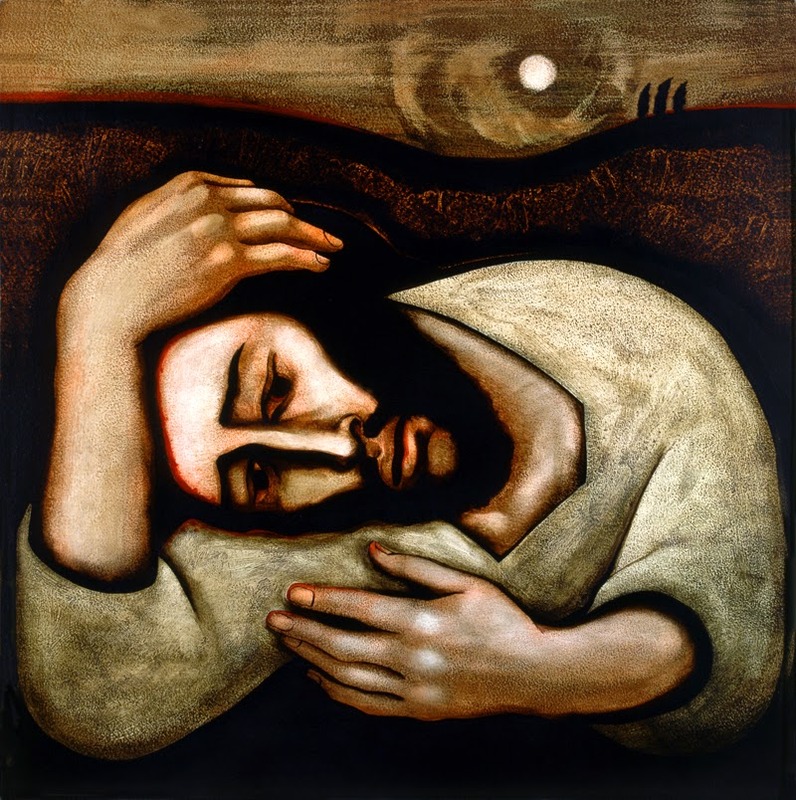 “Christ in Gethsemane” by Michael O’Brien used w permission. This entry was posted in Helpful Images, Poverty of Spirit, Reflections, Spiritual Direction, Stories and tagged Brennan Manning, Christ in Gethsemane, David L. Fleming SJ, Esther Hizsa, helplessness, Hold On, Luc De Leeuw, Michael D. O'Brien, Ragamuffin Gospel, salvific, Soul of Christ, spiritual director, spiritual director Burnaby, spiritual director Vancouver. Bookmark the permalink.